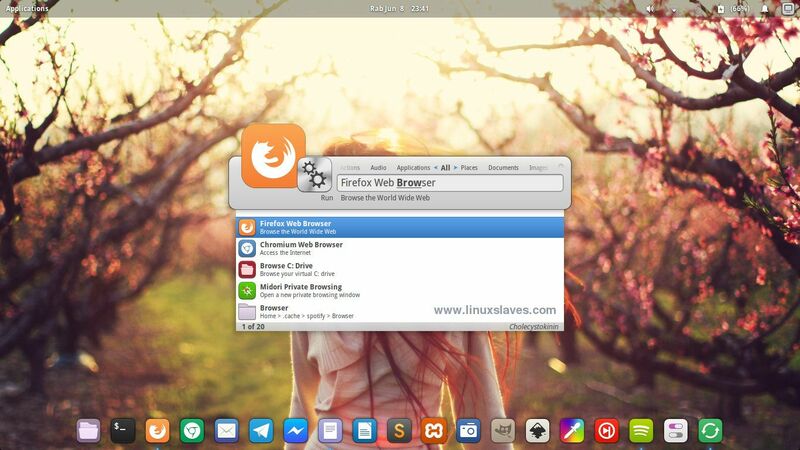 An Alternative To MAC OS X Spotlight for Linux - Most of Linux desktops have their own Menu or Launchers with search option like Elementary with the Slingshot Launcher, Ubuntu Unity with the Dash, Gnome has Activities, KDE and Cinnamon has its own Menu, and so on. A launcher is used to search installed applications, files easily. It's really helpful for a user to perform quick operations. If you need a step forward and looking for an alternative for your Linux desktop then Synapse is right choice. What's Synapse? Synapse is a semantic launcher written in Vala that you can use to start applications as well as find and access relevant documents and files by making use of the Zeitgeist engine. It gives a quick access to launch any applications, accessing documents such as pictures / photos / images, audio, video, and places. For Ubuntu, Linux Mint and relevant Ubuntu derivatives system, there's Albert Spotlight you can try. To install it, you can read at our previous post Macbuntu: Mac OS X Yosmite Theme for Ubuntu 16.04 LTS Xenial Xerus. Now you can open Synapse from Accessories -Elementary's menu. You can launch Synapse quickly using Ctrl+Space shortcut key. It can be changed easily from Preferences setting. Left and Right Arrow keys to quick navigate between different categories. The Arrow Down key used to extend your search. It also allows you to perform power actions: Shutdown, Restart, and Logout. So that's all I can write about a tutorial step-by-step installing Synapse Launcher : an alternative to Mac's new spotlight on Elementary OS. Hope you've enjoyed reading this tutorial. Thanks for visiting us!